This paper explores different ways to operationalise properties of the welfare state as explanatory variable in multilevel frameworks. 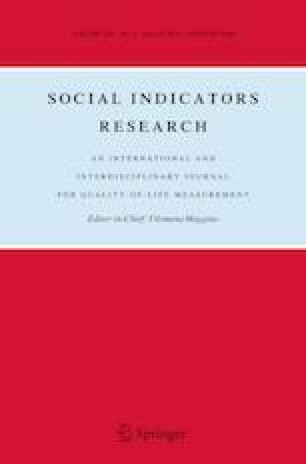 Based on the observation that many common applications of welfare state measurements as independent macro-level variables lack standardised proceeding, differences between commonly used approaches (single indicators, regime typologies, and composite indices) are examined concerning their consequences for empirical results and their comparability. Each approach is first discussed regarding conceptual premises and practical applications in the literature. In a second step, differences are demonstrated empirically by performing several multilevel analyses using welfare attitudes as an exemplary dependent variable. The comparison shows that even slight differences in the operationalisation have an impact on the results and their explanatory contribution. Based on this, the paper offers possible points of departure for the development of more fitting operationalisations for the specific use as explanatory instruments. This includes criteria a measurement should meet and a stronger focus on capturing the relevant causal mechanisms assumed to be at work. The aim of this paper is thus twofold. On the one hand, it provides an overview of existing strategies and raises awareness to critical issues. On the other hand, it gives some initial pointers for a conceptual debate about how to turn characteristics of the welfare state into macro-level indicators, which can serve as independent variable. I am very grateful to Gunnar Otte, Lena Zimmer, my colleagues at the Working Group of Social Stratification Research in Mainz (especially Debora Eicher and Theresa Wieland), and the anonymous referees for valuable comments on an earlier version of this paper.